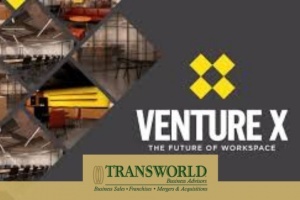 Venture x (a United franchise Group company) is a professional co-working & private office space that blends world class design with premium furniture, fixtures and amenities. Modern high end office spaces with the flexibility and prime locations of traditional co-working spaces. By 2020, The Bureau of Labor Statistics estimates 65M Americans will be freelancers, temps, independent contractors, or entrepreneurs, making up a full 40% of the workforce. Venture X provides an attractive opportunity for those workers who want to benefit from a rich work community. Venture X is a United Franchise Group brand, architecture is completed through Gensler (of Facebook, LinkedIn & Instagram fame), and a partnership with Herman Miller, a 100 year old furniture manufacturer. Territories are also available all over the world.